It’s that super spooky time of year, once again! Sadly, Captain America and I don’t have any super exciting plans, ourselves, tonight. Normally I look forward to watching scary movies and handing out candy to all of the trick-or-treaters, but unfortunately moving into Captain America’s house after the wedding meant leaving behind my old neighborhood that got a good number of trick-or-treaters behind, and our current neighborhood is filled entirely with older folks with no children. (I actually disappointed some elderly neighbors when they asked if our kids would be coming around this year and I had to tell them we didn’t have any kids yet!) We’re also on the top of a giant hill which means that no one who lives down the road will be making the trek up for a couple of chocolate bars. I still did some decorating, however! I would have loved to have done much more, like last year, but since we’re in the process of settling back into our house after getting married and remodeling, and there are still a few boxes here and there, I decided not to go all out and add to the confusion. That didn’t stop me from doing a little something, though – a couple of weeks ago a friend and I got together to make burlap wreaths with some of the burlap I had left over from the wedding. And they turned out great! I love how ours looks hanging on the inside of the front door so much, I’ve decided to make a second one to hang on the outside, so I don’t have to give it up. 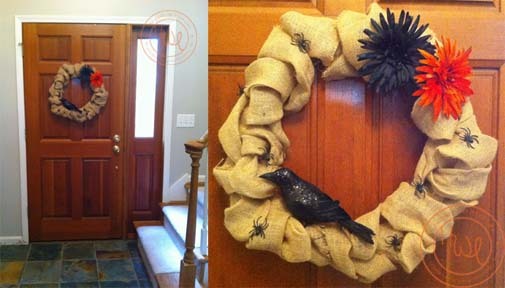 Click here for a tutorial on how to make your own burlap wreath for any occasion! 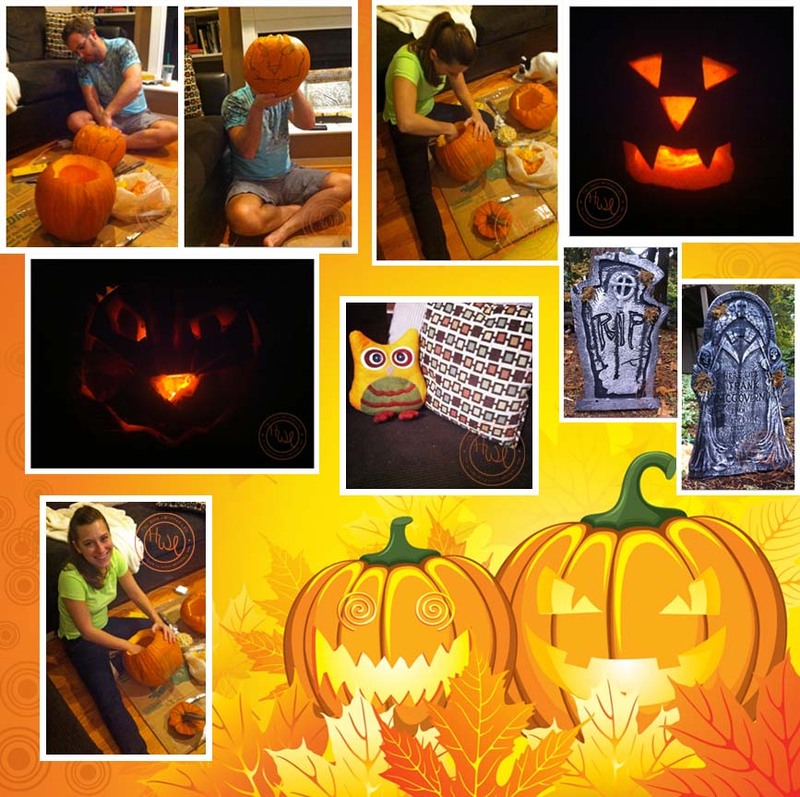 I also put a few fake headstones up in the yard – and of course we had to carve some pumpkins. Mine’s a vampire named “Pumpkula” and Captain America’s is a pumpkin version of our kitty, Ben-Ben. So even though I know we won’t be getting any trick-or-treaters tonight, I’m still excited to set our Jack-O-Lanterns on the front steps with candles in them, and curl up on the couch with the hubby to celebrate our first holiday together with a night of scary movies and a bag of candy all to ourselves! I hope you all have a fun and safe holiday evening! What are your plans for this Halloween night? Will you be dressing up? If so, what will your costume be? 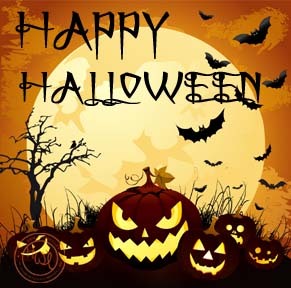 What is your favorite Halloween tradition?